The going is good at the moment. A draft of ‘Some kind of Insanity’ has gone out to my group of readers and at least two have fed back that they are enjoying so far. In the mean time I am painstakingly working through the logic of the plot of the (potentially) sci-fi story and I am slowly getting there. I really want to take my time getting this one right as it is quite a complex one – or rather subtle and could be too complex if I don’t get it right. So simplification is really what I am up to. On a completely different subject, I saw Inglorious Basterds the other night. What a great film. To be honest I have never actually liked a Tarantino film before so it was a suprise. Though very gory, it did go to great pains to depict the terror that I am guessing people must have felt under the Nazi regime – especially scenes like the bar-in-the-basement scene which you knew was going to go badly and you just watched the faces of the ‘allies’ as the SS officers (or was it Gestapo) gradually sussed out what was going on. I think what is different about this film is that it doesn’t go for the stock take on Nazis as incompetent fools – they are demionaically clever. Christoph Waltz as COL. Hans Landa was really good – I couldn’t take my eyes off of him for the whole film. I kept thinking I had seen him before and he reminded me of so many people that I was sure I had met. Perhaps this is the sign of a really good actor. Actually this is his first English-speaking film I think (according to www.imdb.com ) so I don’t think I have seen him before. Diane Kruger has to get a mention – again in the basement bar scene she was really good as the agent posing as a crass German actress. I didn’t even know it was her for at least five minutes, even though I knew she was in the film. Finally there is Rod Taylor. I haven’t seen much of him for years but he definately did the definitive HG Wells story in The Time Machine. He has done other good movies too – Zabriskie Point, to mention one. Kaw wasn’t that good a few years ago but his appearance here as Winston Churchill was a suprising bit of casting. I knew immediately that Tarantino had cast him because he was a fan of Taylor’s and that seems to be the case. I didn’t spot Rod either until after the film had finished and I wondered where Rod Taylor had been. So, I am starting to research the sci-fi story and very pleasant it is too. I was thinking about locations for the various parts of the story and remembered those ‘big wheels’ from the 60’s and 70’s – those things that float in space and look really good from the inside. I found out that the most popular one is called the ‘Stanford Torus‘. You get views like this. It all looks quite utopian but of course it wouldn’t be. Anyway I then found that in actual fact, whereas I thought these were simply figments of sci-fi writers’ minds in those days, NASA did do quite a detailed study about their viability. 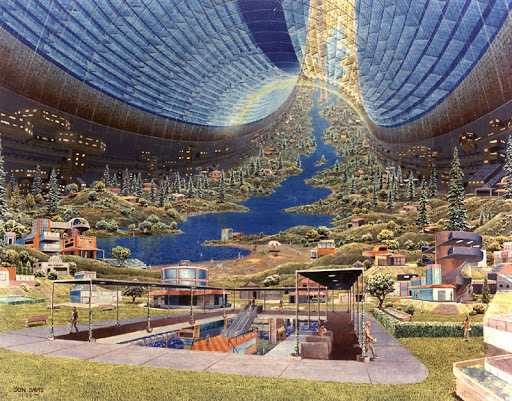 NASA’s space colony viability report. It makes interesting reading. For one thing, the cost would be astronomical – 50Bn in those days. I am not sure what that is now but I would guess at least 4 times that – so 200Bn. At first I thought – well who would fund this and why was NASA even thinking seriously about it? Perhaps, since the Cold War was still on, they were thinking about evacuating people. But actually it’s not that much. I found out yesterday that a certain City’s banks are preparing to pay out 50Bn in bonuses this year. Now I need to start thinking about what life would be like on one of these colonies and what sort of political environment would it be. It will be interesting to think it through. What a relief. I managed to do a lot of editing yesterday (Sunday) and I am feeling that relief one gets when moving out from the focus on a piece of creative writing. Actually I chopped almost 10,000 words out of the story – fairly harsh editing, but not as harsh as I would have liked. It’s just so hard to find any one part that you can completely delete. Anyway I am just working on finishing touches now – some secret codes that go on Chapter Titles and a few names left to do. It’s strange how a name can cause you so much difficulty – the name of a detective or the name of a hero. I am still struggling over the latter although he is not the main character in the book. This may be a short post as I can’t really say too much more without revealing too much of the plot. Anyway I am hoping to get it to a small, select group of readers this week so I can get some feedback, which will almost certainly involve some more editing. 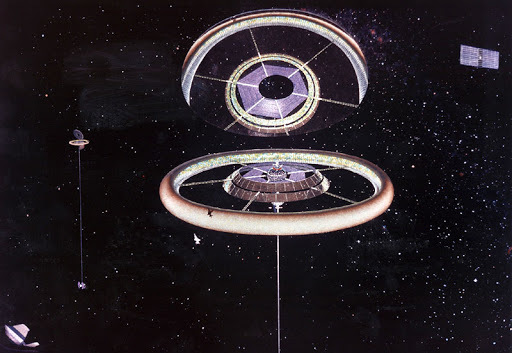 The sci-fi story idea is going around and around in my head – quite delightfully actually. There are so many ways of telling the story – just a matter of finding the right one. I found myself on the day before New Year’s Eve (New Year’s Eve eve) watching TV and to my amazement saw two of my all time top 3 films showing back to back on itv2 (could be been itv3 or 4). Well. I settled down to watch ‘633 Squadron’ and ‘The Wicker Man’ (original version with Christopher Lee, Edward Woodwood and Britt Eckland) with glee. Wrapped up warm on my bed, I could just drift back to my childhood. But about half way through the first film, I began to wonder why they had both turned up together. Surely too much for coincidence? It must be, I thought, because I conform to a certain demographic. Are there really any other men (or women) out there who really like these two films (my third fave is Gladiator but surely there isn’t anybody else out there who would choose all 3 as his or her top films?)? And if such a demographic exists how come I have never in my life met any of these people? Also a mystery is why they would choose my demographic on the day before New Year’s day. Since I guess most of us would be baby-boomers, it seems surprising that some scheduler has figured out that most of us will be out on New Year’s day and thus better show us our films the day before. Or perhaps I am just overestimating our importance here. Whereas The Wicker Man used to be shown about 3am on New Year’s day, perhaps now that demographic is ranked lower in importance. Still, its nice to be important enough to be catered for on the day before. A second-ranker is not too bad. Has any body else noticed themselves in such a TV demographic and did it surprise you? Well. I do have a new idea for a story. It has been around a few weeks now and the story could be as part of a thriller or a sci-fi story. I have published both types in the past – both have their advantages, and sometimes a story just wants to be one or the other. In this particular case, the story could be either and I may write it as a short story first just to see if there is enough on the bones to warrant a full-length novel. So the question arises, should I do it as sci-fi or not? Personally, given the difficulties I have had writing this last one, I am attracted to doing the next one as sci-fi. I just think putting it in a separate world will give me a little distance and make it just a little bit less of an emotional roller-coaster for me. I also quite look forward to writing descriptions of strange landscapes but I also need to keep grittiness in there because the story is quite gritty. I remember that Bladerunner is pretty gritty so it should be possible to combine both elements. Yes – I was writing yesterday but I found it tough. Actually I intended to just edit, thinking I had finished the writing but then found I had forgotten an important detail in the plot so I had to go back to this. Anyway, every time I was close to getting on the PC something would come up and I just couldn’t get there until late evening. It messed my day up and messed with my head. I often feel that someone or something is trying to stop me. Its a weird feeling but not unlike the feeling the guy in the book has. 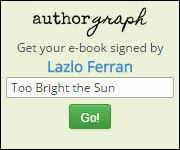 I guess that’s why I wrote it. Nevertheless, I wish I didn’t have to go through these trials. I did complete the main story and now I am back on editing. I am making good progress so I hope that I won’t have that feeling any more. I have a sci-fi idea for my next book – at least an idea which I think would best be presented in a sci-fi format, and I am optimistic that this will be easier to write. I need a break from the intensity of writing this last book. In editing it I am cutting out large chunks which do not work but it is a pleasure to read again the bits that do work. I will soon be looking for reviewers of the book (in draft form) so if you are interested, get in touch.